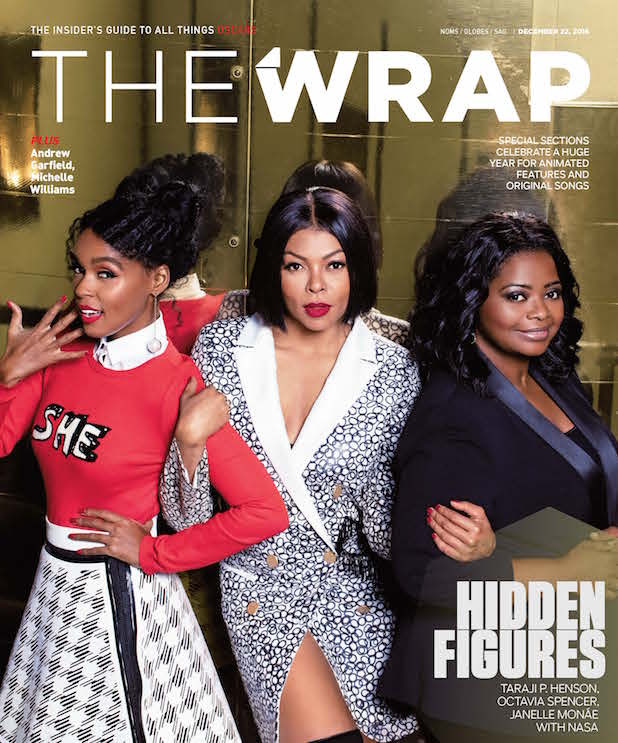 This story on “Hidden Figures” first appeared in the Nominations Preview issue of TheWrap’s Oscar magazine. Once upon a time, a bunch of African-American women helped John Glenn break through the Earth’s atmosphere and orbit in space. 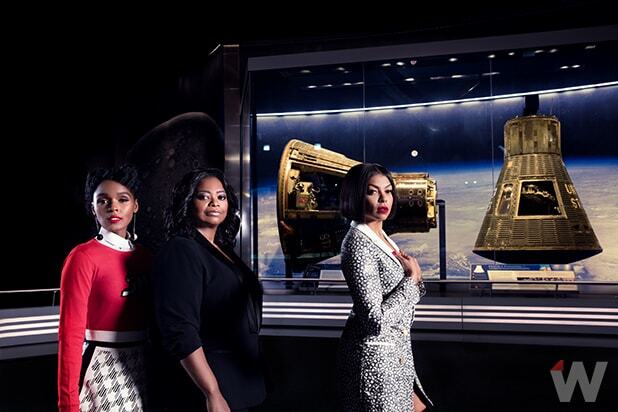 “Honestly, I thought it was historical fiction,” said Octavia Spencer, who plays one of those women in the film “Hidden Figures.” As she said this, Spencer was sitting in the shadow of the Soyuz spacecraft, built by the Soviets in the 1960s and an essential reason for the race to the moon. A capsule now hangs in the National Air and Space Museum in Washington, D.C., which the cast of the film visited in December ahead of opening weekend. Spencer plays Dorothy Vaughan, one of the so-called human “computers” employed by NASA to do rapid-fire math to support the effort to launch a manned rocket into space. Her colleagues, equally little-known by history, included Katherine Johnson, a numbers prodigy who helped calculate key trajectories for Glenn’s orbit around the earth in 1961; and Mary Jackson, who became the first African- American female aerospace engineer after joining NASA’s Langley Research Center in Virginia in 1951. Jackson had to petition a court to be allowed into a segregated school to take the college courses required to work as a NASA engineer, and she did so successfully. Monae dropped all her other projects to become part of this film once she learned the story was real. “I had a plethora of feelings I went through — one being shock,” she said. The intensity of feeling is understandable. In a Hollywood dominated by strong male heroes and a popular culture where African-American women actors too often portray servants or victims damaged by poverty, addiction or crime, “Hidden Figures” is a welcome antidote. All of the actors felt the need to seize the chance to play leading roles with such inspiring personal stories. The fact that it was actual history only made it more vital. Within NASA, the existence of the African-American “computer” women was not entirely mysterious, but it took a book by Margot Lee Shetterly to break them into wider renown. At the time the women worked at NASA, the late 1950s and early 1960s, the country was in a full-blown Cold War. The U.S. tried to face down Soviet expansion across the globe and suddenly –with the launch of the Sputnik satellite in 1958 — in space, too. The effort to catch up with the U.S.S.R. became a national priority, and as a result the demand for all scientists and mathematicians, including the “human computers” who did the calculations that would soon be the province of mechanical IBM computers, moved into high velocity. Indeed, the film depicts the true story of Glenn requesting that Johnson personally verify the math to calculate his orbit before he agreed to take off. Similarly, Vaughan led the way in figuring out how to program IBM’s new computer — the machine that would replace the women — which led to her becoming an expert in the early computer language Fortran. But the ironies for women like Johnson, Jackson and Vaughan were extraordinary. A widow before she got remarried to military veteran Jim Johnson (played in the film by Mahershala Ali), Johnson had three children to support. Jim Crow laws were still in effect everywhere – including the segregation that kept Mary Jackson from an engineering degree until she petitioned the court. While NASA was one of the more progressive places to work and eventually removed that bathroom sign, that history didn’t disappear as quickly as one might think. At the Air and Space Museum, Spencer met Andrea Razzaghi, NASA’s Astrophysics Division deputy director, who recounted, “When I first joined NASA, I started off as a hands-on mechanical engineer, and I was the only woman in a group of 50 engineers. Not joking — the restroom I used said, ‘Woman.’ Singular. I always wondered if that was a mistake somebody made. “It never is,” Spencer added wryly. At a time when women often find it difficult to achieve parity in Hollywood, “Hidden Figures” has a remarkably strong female presence throughout. Shetterly wrote the book because she wanted others to know the story, and indeed, she founded the Human Computer Project, a virtual museum that tells the stories of the female mathematicians of NASA. Veteran producer Donna Gigliotti found and optioned Shetterly’s book before it was even published. Screenwriter Allison Schroeder grew up near the Kennedy Space Center in Florida, studying high-level math and interning at the agency where her grandmother was a programmer and her grandfather took part in Project Mercury. And craftspersons were led by a female director of photography, Mandy Walker. The awards season exposes a number of buried stories from the annals of America’s tortured past, including the slave rebellion of Nat Turner in “The Birth of a Nation” and the injustice of interracial marriage laws depicted in “Loving.” But “Hidden Figures” stands out for being so recent but also for being an unapologetically inspirational tale of women who did not seek the spotlight, content to be given the opportunity to contribute to a greater cause — space exploration. It’s those kind of people that the film offers up for the pleasure of well-deserved attention, a story that nourishes while it entertains. 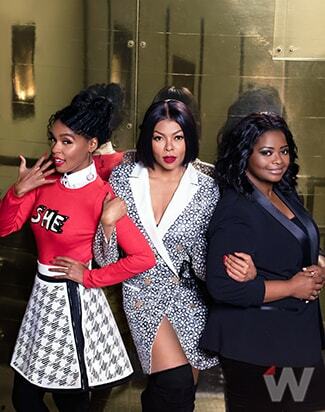 Click here to read more from the Nominations Preview issue of TheWrap Oscar magazine.